Winter has arrived! Or more accurately, this awesome laser engraved wooden poster from SpaceWolf Limited arrived today. 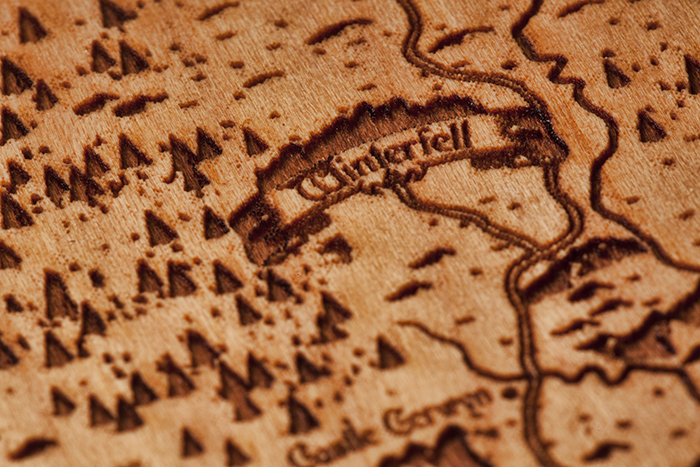 It's a map of Westeros and the Free Cities. Now to mount it somewhere somehow.